Costa BravaLloret de Mar - 4 Star. 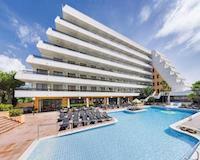 The Hotel Top Royal Star is situated in the popular resort of Lloret de Mar. Just 700 meters away guests will find the resort centre with its array of shopping and entertainment venues and the beach, making this an ideal destination for a fun filled family holiday. Costa BravaSanta Susanna - 4 Star. Located in the area of Santa Susanna, this hotel is situated 150m from the beach and 200m from the shopping center. All of the 186 rooms in the hotel are suites. The hotel has been awarded the 2011 and 2012 Trip Advisor Certificate Excellence. With a superb location, the Hotel Caprici Verd is at the beginning of the promenade of Santa Susanna. Slightly away from the local leisure centre, the hotel keeps the tranquillity and beauty of the town of Santa Susanna you and your family look for in a vacation. Only 20 meters away from the railway station, the possibilities and options to visit, walk and enjoy the company of your loved ones are unlimited. Costa BravaTossa de Mar - 4 Star. 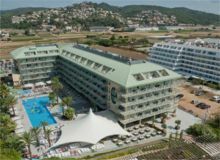 Oasis Tossa Hotel is located in Tossa de Mar, which lies at the heart of the Costa Brava, 95 kilometres north of Barcelona and 100 kilometres south of the French border. This is a pretty town with good accessibility, a magnificent ancient castle and in the valley of a beautiful mounhtains. Costa BravaTossa de Mar - 3 Star. This stylish and modern 3 star hotel, has a friendly welcoming atmosphere and enjoys a good central location, close to the old town and only 250 metres from the beach. Well equipped with everything you need for an enjoyable resort. Tossa Del Mar is a very accessible resort with a fabulous accessible beach overlooked by the town's medieval castle. The Aqua Hotel Promenade is located on the beach front of Pineda de Mar, making ideal for holiday makers looking to sunbathe at the beach. 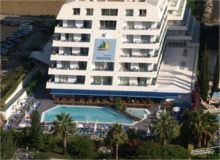 The hotel offers a wide range of facilities for guests of all ages including a swimming pool, live entertainment, kids club, spa and fitness area. 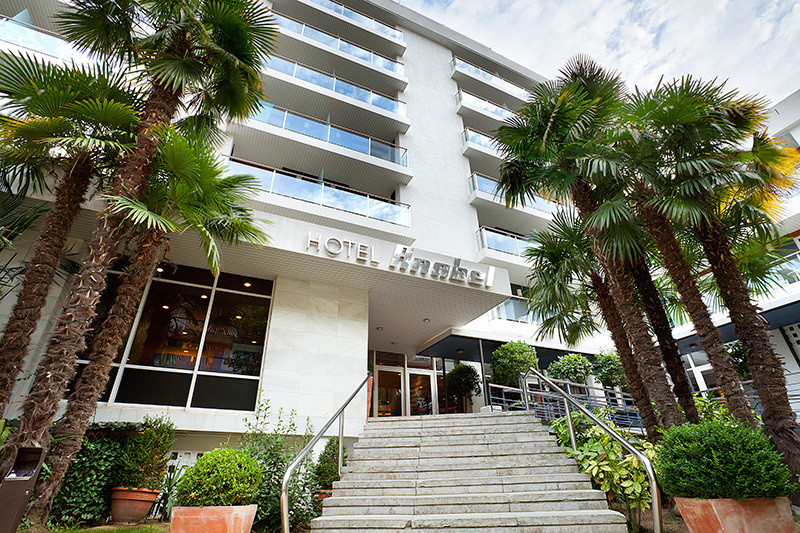 The Hotel Merce is a comfortable hotel with a family friendly atmosphere, in an excellent location from which to see the sights of Barcelona and Costa Brava. Nostre Mar Apartments is a quiet and family friendly hotel located in the centre of Pineda de Mar, Costa Blanca (just 100 metres from the beachfront). The hotel has 31 apartments, a small portion of which sleeps 2 to 3 people whilst most have a capacity of 3 to 4 people. Costa BravaMalgrat de Mar - 4 Star. 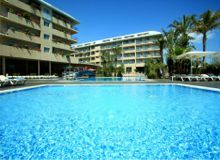 The Hotel Tropic Park enjoys an excellent location in Malgrat de Mar, Costa de Barcelona. Experience the ultra chic Aqua Hotel Silhouette & Spa, which offers a cool, chilled out pool scene and spacious modern rooms. This hotel really is a perfect retreat for adults looking to enjoy the Catalan sunshine.